ARROYO GRANDE, California (April 10, 2018) – With crystal clear audio quality, racers prefer the sound of a digital 2-way radio and now you can get your hands on it with the RDH-16C Digital 5-Watt Handheld Radio from Rugged Radios. Perfect for short course and road racing, this handheld radio comes with 16 easy-to-use channels allowing you to get in the race car and go! 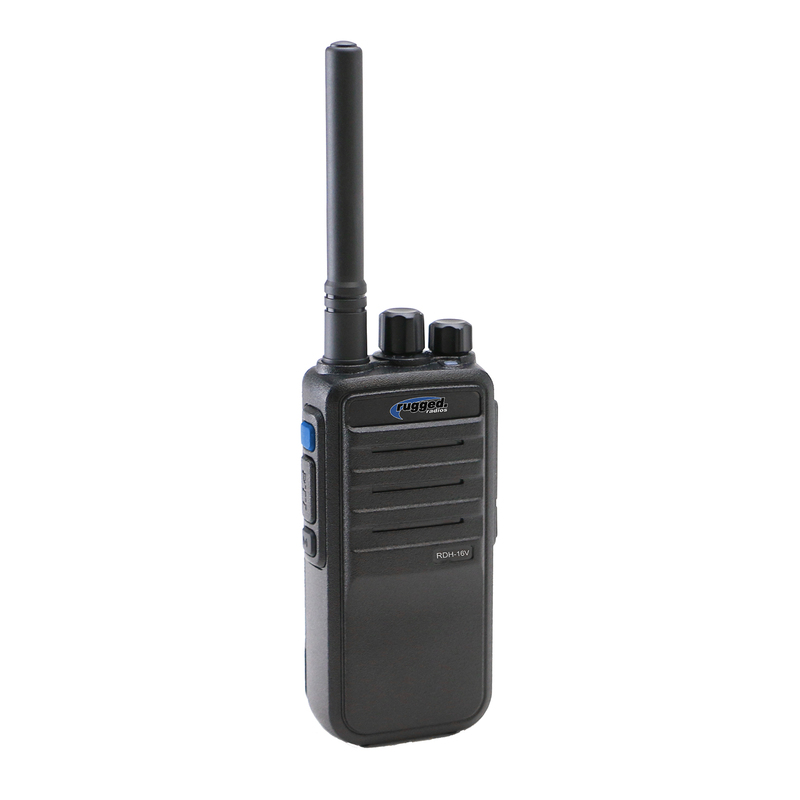 The new RDH-16C Digital Handheld Radio comes with automatic error correction. Not only does error correction cancel out loud-engine background noise, but it can also rebuild voice data if a signal becomes corrupted. Digital voice transmissions also carry through to distances where analog radios start to fade, ensuring that your message is still heard loud and clear. The RDH-16C Radio is capable of both digital & analog signals and comes pre-programmed with a selection of both analog and digital channels. If you are transmitting to a second digital radio, you can do so on a digital channel, but if you need to talk to an analog radio, you can simply change over to an analog channel and start your conversation. Available in either UHF or VHF, the RDH-16C Handheld Radio boasts 5-watts of power to reach distances of 1-3 miles depending on terrain. 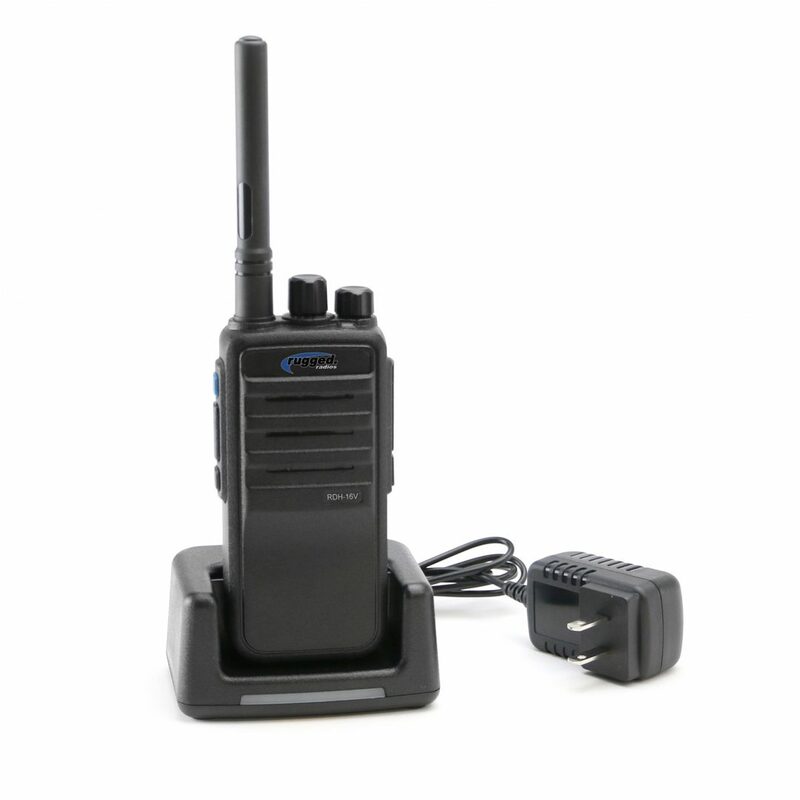 It also comes with our standard 2-pin accessory port making it compatible with Rugged Radios’ current accessory line. The RDH-16C is powered by a lithium ion battery, and, with digital radios being extremely power efficient, you can expect 40% more battery life than its analog counterpart. We have seen music, film and television make the transition to digital technology and now is the time for 2-way radios. With the RDH-16C, you will notice the improvement in audio quality as you are doing hot laps around the track.